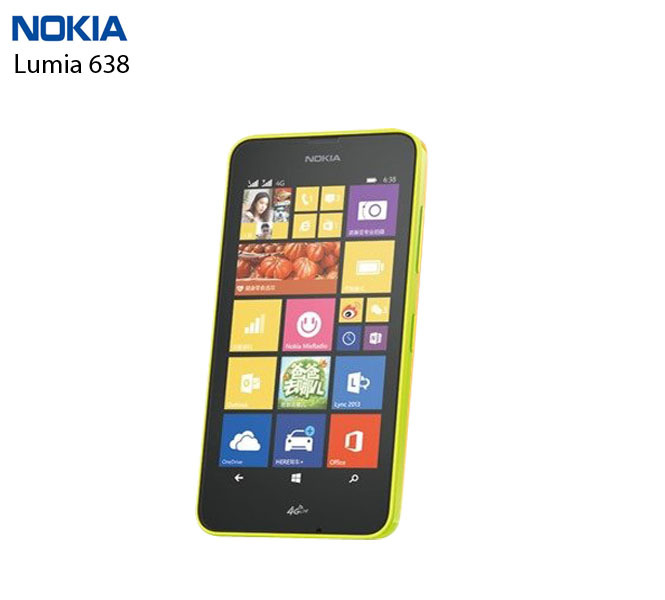 The long awaited smartphone from Nokia called Lumia 638 has been available in China for 6 months right now. The well known smartphone is know available in India. It is priced at INR8,299 ($130), the smartphone will retail exclusively on the newly-launched Microsoft Store on Amazon India. It is currently available for pre-order, and will be available on December 18. When it comes to the smartphne specification it has a Lumia Cyan, and a 4.5-inch LCD ClearBlack display with Gorilla Glass 3 and a Qualcomm Snapdragon 400 SoC. It internal memory is a 1GB of RAM, 8GB of built-in storage (which can be expanded up to 128GB via microSD card(Lumia Cyan, and sports a 4.5-inch LCD ClearBlack display with Gorilla Glass 3 and a Qualcomm Snapdragon 400 SoC. It packs in 1GB of RAM, 8GB of built-in storage (which can be expanded up to 128GB via microSD card). It also has a 5 Mpx main camera, without a front facing camera. If you are a proud owne of Nokia smartphones, our website can offer special sim unlock codes, which allow your phone to work in any network you wish.